Eat a balanced meal every day. You should eat more fruits and vegetables that are full of antioxidants. Antioxidants fight free radicals that damage skin cells, collagen, and DNA, leading to the formation of wrinkles and fine lines. Apply Moroccan Argan oil on your skin regularly. Moroccan Argan oil is packed with powerful antioxidants such as vitamin E, polyphenols, squalene, and ferulic acid. It is also full of essential fatty acids that effectively delay skin aging. I get complimented all the time on how young I look! Here’s my secret weapon for how I get younger looking skin in just 2 mins a day! Hey, lovely! 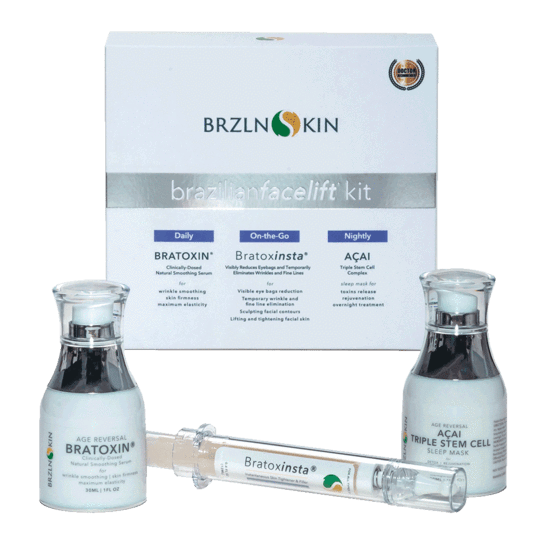 ENTER TO WIN a $229 Brazilian Facelift Kit – which includes everything you need for a more youthful, lifted appearance! When it comes to wrinkles and skin firming, women want a regimen that delivers immediate results. They want to feel and see it working. Brazilian Skin has come onto the beauty scene with, what is poised to be, the next cult favorite. The Facelift Kit retails for $229.00 and each serum in the kit can be also purchased individually. To understand what makes these serums so special, we must first look at their ingredients, and more importantly the dosing and combination of them. “When people apply Brazilian Skin serums, feel their face tightening and see the transformation within a minute, they immediately ask me what the ingredients are and how is this even possible, explains,” Dr. Godoy. 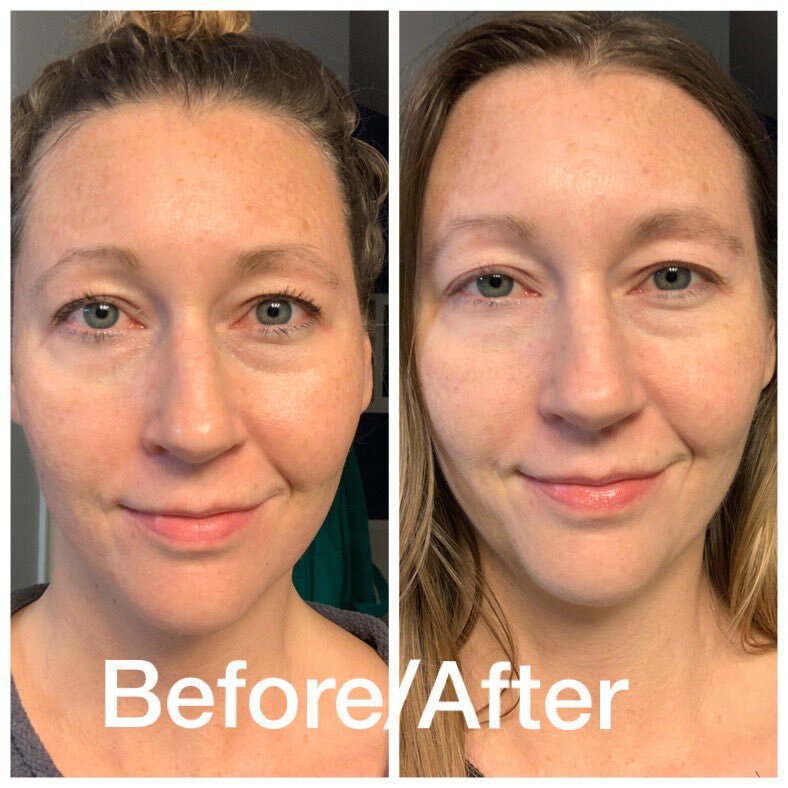 “After 2 weeks of use, people are amazed at very specific skin improvements such as reduced scarring, breakouts, lines and wrinkles. This is due to the effective collaboration of ingredients at clinical levels,” she adds. ENTER TO WIN the Brazilian Facelift Kit ($229) in the Rafflecopter form below! Good Luck Lovelies! Giveaway open to U.S. Residents Only!